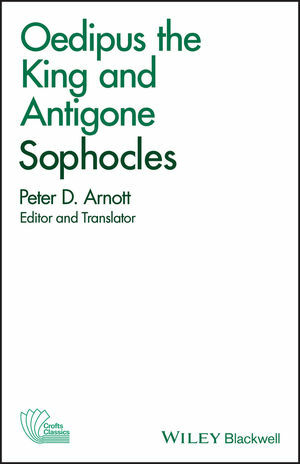 Translated and edited by Peter D. Arnott, this classic and highly popular edition contains two essential plays in the development of Greek tragedy-Oedipus the King and Antigone-for performance and study. The editor's introduction contains a brief biography of the playwright and a description of Greek theater. Also included are a list of principal dates in the life of Sophocles and a bibliography. Sophocles is one of three ancient Greek tragedians whose plays have survived. His first plays were written later than or contemporary with those of Aeschylus, and earlier than or contemporary with those of Euripides. Peter D. Arnott was a puppeteer and Professor of drama at Tufts University. He wrote many books and translated many classical plays.